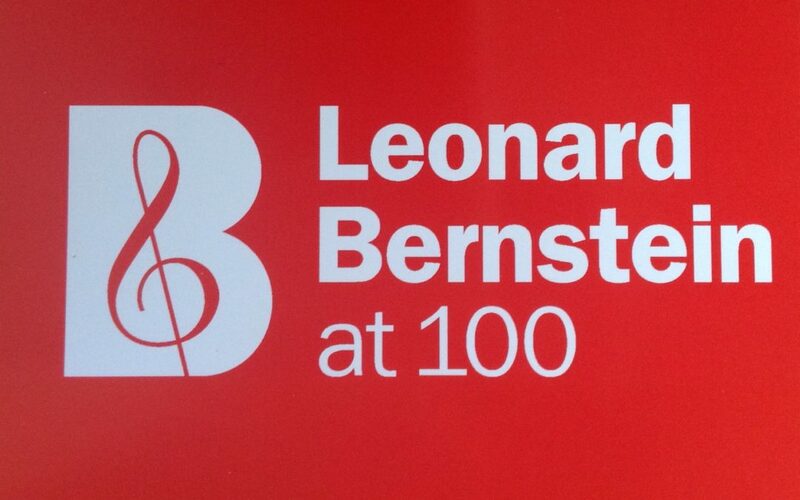 Celebrations are going on throughout the world in 2018 to commemorate Leonard Bernstein’s centennial year! And not least in Chichester! A wide ranging programme of events have been announced – concerts, ballet, workshops, revues, jazz, talks, film shows, exhibitions plus a reunion or two….. The city has a significant place in Leonard Bernstein’s story, “In 1963, Walter Hussey, Dean of Chichester Cathedral, wrote to Bernstein, asking if he would compose a piece of choral music for the Southern Cathedrals Festival,” explained Emma-Jane Wyatt, festival co-organiser. He accepted and in July 1965 Chichester Psalms received its (almost) world premiere in the Cathedral at which the composer was present.” Bernstein wrote later of his visit: ‘In Chichester I heard angels sing.’ Since that time the Chichester Psalms has become one of the most performed choral works in the the twentieth century. There has already been a live screening of an all-Bernstein programme by the Royal Ballet at the New Park Cinema. The next part of the programme takes place on Friday 20th April at Pallant Gallery: The Indomitable Persuader: A Hussey Symposium. Tickets are available from the gallery priced at £10.